Will my ship set up sightseeing tours or activities in the ports we visit? Yes. All cruise ships offer shore excursions -- guided walking or bus tours that allow you to experience local history, culture and cuisine and activities such as snorkeling, zip-lining and shopping. Some tours are simply transportation to a nearby city or beach, and you can do what you please once there. 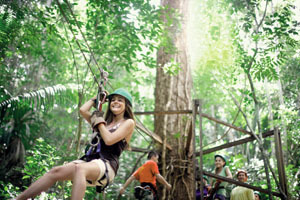 The types of shore excursions offered usually depend on the cruise itinerary. For example, you are more likely to find water sports options in the Caribbean and visits to museums and historic buildings in Europe. Am I required to book shore excursions if I get off the ship? 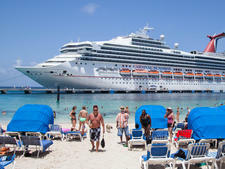 Most popular cruise lines charge extra for shore excursions. 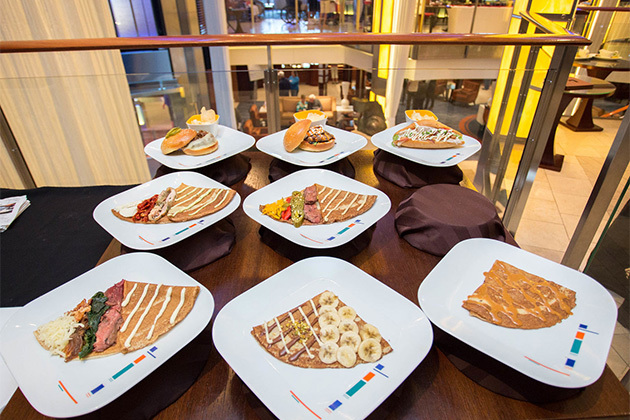 Prices can range from as little as $40 per person to hundreds -- or even thousands -- of dollars, depending on what's included or how exclusive the experience is. However, some luxury lines and river lines do include shore excursions in their fares. What happens if I want to take a shore excursion but don't want to book it through my cruise line? 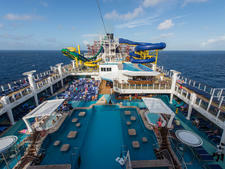 There are two types of excursions: cruise line-sponsored and independent. If you don't want to book through your cruise line, you can book an independent tour with a private provider in a port you're visiting. But be sure to do your research ahead of time to ensure you've chosen a reputable tour operator and that you're getting a fair price. Also, if your independent tour is late returning to the pier, the ship is not required to wait for you. 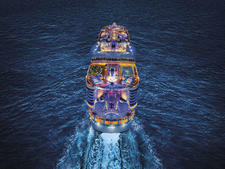 However, it will wait for cruise line-sponsored tours that run late. Where can I find out more about booking independent shore excursions? If you think independent excursions are for you, you can research and book through third-party providers like Viator (a sister company to Cruise Critic) or ask for suggestions on the Cruise Critic message boards. It's helpful to join the Roll Call thread for your ship and sail date to "meet" your fellow cruisers and arrange to share tour costs. 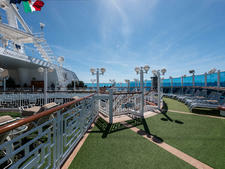 You can also see what real cruisers thought of their tours by reading shore excursion reviews. Cruise passengers generally pre-book private excursions, but independent operators are available at most terminals to take same-day bookings if you want to wait until you go ashore to make a decision. How do I book a ship-sponsored shore excursion? Shore excursions can be booked online via your cruise line's website or over the phone prior to embarkation, directly with your cruise line or your travel agent. You can also wait until you're onboard and visit your ship's shore excursions desk, where someone can assist you with choosing a tour that's appropriate for your interests, level of physical ability and budget. If you book in advance, you will prepay for the tour on your credit card; if you book onboard, the cost will be added to your onboard cruise bill. Be sure to check cancellation policies carefully so you don't lose money if you change your mind. If I've booked a shore excursion, where will I find my group? If you've booked a shore excursion through your cruise line, tickets will either be delivered to your stateroom or picked up by you at the shore excursions desk onboard. You'll be instructed where to go on the day of your tour. On larger ships, passengers meet in a central location, such as a theater or large lounge, and are given numbered or color-coded debarkation tickets. When your color is called, you'll exit the ship and look for a crewmember holding a sign with the name of your tour on it. If you've booked independently, be sure to ask your provider where you should meet. If you're not meeting in the immediate port area, be sure to ask about the best way to get to where you need to be. Your independent excursion guide should know this, but generally, cruisers booked on ship-sponsored shore excursions are allowed to disembark before anyone else, so you might want to ask about arranging a slightly later departure time if possible, in case you have to wait to get off the ship. Will lunch be provided for me on my shore excursion? It all depends on the type of tour you booked. Many tours will include some sort of meal or snack, particularly ones that last for longer periods of time. If it's important to you, be sure to read the description of your tour thoroughly to see what's included, or ask someone at the shore excursions desk on your ship. If you're unsure, bring some snacks to hold you over. I have a medical condition/limited mobility. Can I still go on a shore excursion? It depends on the excursion and your specific level of fitness and mobility. Most cruise lines strive to provide a variety of tour types, ranging from low-impact and relaxed to adrenaline-pumping and frenetic. Shore excursion brochures and online listings will indicate the level of physical ability required; look for easy or non-strenuous tours if a medical condition prevents excessive walking or climbing in and out of boats, etc. If you're still unsure, check with someone at your cruise line before booking. Note that not all excursions -- even bus tours -- are wheelchair accessible. Are shore excursions suitable for children? There is no easy or universal answer to this. Several lines do offer tours specifically geared toward children and teens; other excursions have age, height or weight restrictions that might rule out younger cruisers. When it comes to available tours, only you know your children's limits, and what works for one child might not for another of the same age. 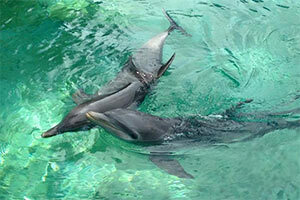 Some tours are definitely more family-friendly than others; for example, a dolphin swim excursion or glass-bottom boat ride might be more suitable than a motorcoach tour that will require kids to be crammed onto a bus for hours. Should I tip my shore excursion guide? The decision to tip is entirely yours. If you feel your tour guide went above and beyond to offer an exceptional experience, you can leave him or her a few dollars, but typically anything more than 20 percent is unnecessary. Some people choose to leave a dollar or two for bus drivers, as well. For independent tours especially, be sure to ask if the price of your tour includes gratuities. What should I do if I'm not satisfied with my shore excursion? If something went wrong or you feel that you didn't get what you paid for on an excursion you booked through your ship, you can report your concerns to the onboard shore tours desk. There's no guarantee you'll get satisfaction, but at least someone will be made aware of the problem, and it might work out in your favor. If you had a problem with a tour you booked independently, you can report the issue directly to the tour company or write reviews of the excursion on Cruise Critic or TripAdvisor. If I book a shore excursion and then change my mind, can I get a refund? Generally, you can recover some or all of your money if you cancel within a certain window. If you wait too long, though, you'll forfeit the entirety of what you paid. Be sure to check with your particular line or independent tour provider for its refund policy before booking. Will my shore excursion be canceled if the weather is bad? It depends on the excursion. If you've booked a sightseeing tour that's primarily done by bus, it's unlikely a bit of rain will affect your plans. However, if you've planned a day full of water sports, and the sea is looking particularly unfriendly, the tour might be canceled for safety concerns. Outdoor tours usually aren't canceled for rain or weather conditions that would make the activity uncomfortable, as long as the operator deems it safe to go on. What happens if I've booked a shore excursion for a particular port and the call is canceled? If the ship makes a decision to skip a port in which you've booked a ship-sponsored shore tour, your money will be refunded, but policies vary for privately booked shore excursions. Check with your provider before shelling out any money, and be sure to get the cancellation policy in writing. How can I find out more about shore excursions?